Turn your drawing into a real soft toy! 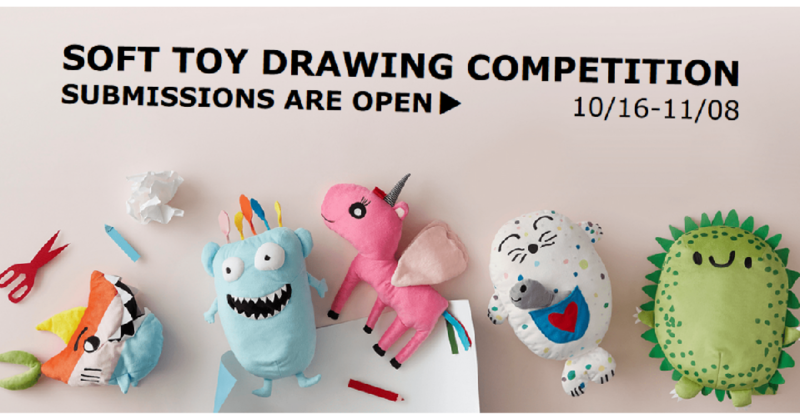 Ikea Family Members (12 and under) can take part in the soft toy drawing competition where the top 6 creations will be turned into cuddly toys sold in all IKEA stores across the world. Plus, 3 age group semifinalists from each US IKEA store will receive a $25 IKEA gift card. Drawing submissions will be accepted through 11/8. Voting begins 11/15.